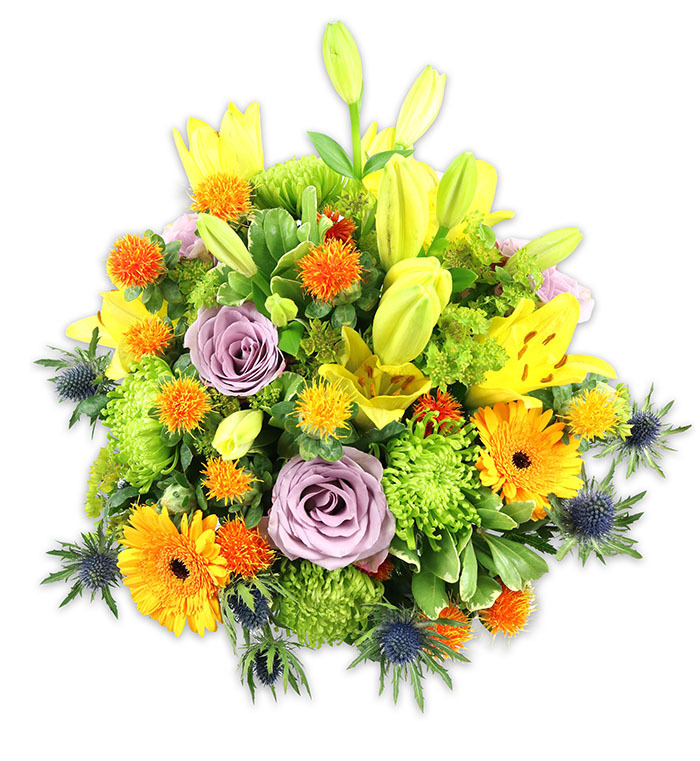 The fresh selection of beautiful blooms makes the perfect bouquet suitable for any occasion. It's a colourful combination between yellows, oranges, greens and a touch of blue. Excellent florist. 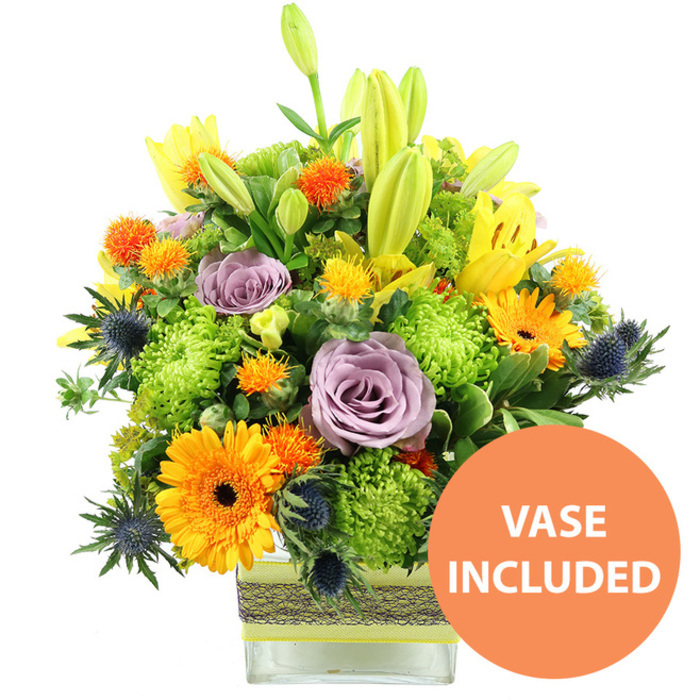 The bouquet from Handy Flowers was simply filled to the brim with a delicious mixture of vibrant colour, firm stems and all tied off with an adorable ribbon. I needed a flower arrangement to suit a regal dinner I was hosting. Your team was very helpful and informative and I purchased an extremely majestic bouquet of flowers that totally wowed my guests. Thank you so much! Handy Flowers always delivers the most awe-inspiring flowers ever! I have been a customer for a few months and I am yet to be disappointed. Great work by your team. Will use this florist again for sure, the flowers were completely mesmerising, they looked so fantastic I couldn't believe it. Wow! Is all I can say. The flowers you delivered are just fabulous, obviously made be some incredible florists who really know their stuff. I am over the moon with the flowers I received from Handy Flowers. They are just stunning, so bright and colourful and they smell amazing too. Very fresh and beautiful autumn bouquet, my sister was so happy when she got it ! Very charming arrangement. Perfect job, Handy Flowers Team !